We listen to what you want in a home and we strive to make it happen. So your home is a place for you to live, entertain and enjoy being in your own space. We take pride in making it the space you want. Your DREAM — Our Expertise. With years of experience and a Construction Management Degree ~ building is what we do best. This means that we can use our expertise to bring your dream to life. We Will Deliver Your Home on Time and on Budget. You will have the ‘key in hand‘ for your new home in the time frame agreed or we will pay you! We are not perturbed by setting time frames as we are efficient and we will stay on one job until it is ﬁnished. We have put project management systems into place to make the building process seamless and easy for you to understand. Using these systems, we keep you informed so that there are no surprises during construction. We specify details of everything in the contract from the beginning so that you know what you are getting in your ﬁnished home. Because of our systems, there are no hold—ups after construction begins. For items that you want to choose, you will receive list and a time frame of when you need to make a decision on those selection items. The timeframe will ﬁt in with our construction schedule. This means you will know exactly when you need to have chosen the materials that you want control over such as; tiles, light ﬁttings etc. With our systems in place, we keep it simple for you whilst keeping the action on—site continuous. We will Make the Building Process Easy and Stress Free. 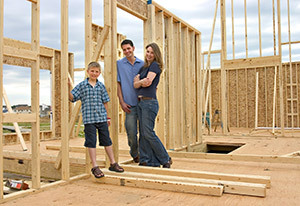 Our goal is to create a home for you and your family to live in as well as making the entire house building process easy, exciting and enjoyable along the way. Energy efficient housing makes the most of available energy: minimizing loss and maximizing beneﬁts. 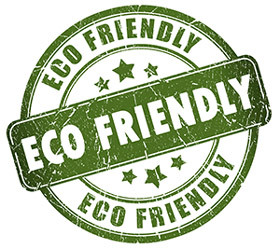 An energy efficient home saves you money during the entire life of the house. Why risk building your energy efficient home with somebody else? Use the experts! Scope construction has hand picked the trades, consultants and suppliers who understand or specialise in energy efficient construction. So you have the peace of mind that you are dealing with industry professionals. We have architects that regularly recommend our services to their clients because of our quality workmanship. Architects can be tough judges of building quality so to have these recommendations means you know that you will get the quality you want in your home. Scope construction is supported by the Housing Industry Australia and has been deemed an ‘HIA Green Smart Professional’. They provide specialist advice and keep its members up to date with government policies, programs and legislation. This means that Scope construction is a step ahead of new legislation so you are in good hands! The two things that we consistently deliver to our clients are: the quality of our ﬁnishes and our excellent workmanship. We aim to exceed your expectations! We Always Show Up on Time. It is a simple principle and we stick by it. If we set a time — you can count on it! Please send us an email enquiry and let Scope Construction help you achieve your dream home.